the latter of which produced the Halifax Resolves, the first official call for independence from any of the thirteen colonies. 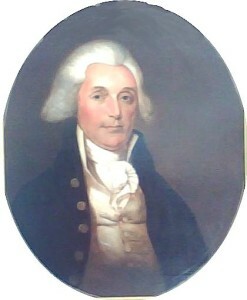 He also served as the Colonial Treasurer, District Paymaster of Troops (1775), State Senator (1779, 1783 & 1784) and a Delegate from NC to the Continental Congresses of 1780 and 1781. He was elected the first “President of the United States in Congress Assembled” on July 10, 1781, under the Articles of Confederation, but declined the office due to health and financial reasons. After the Revolution, he served as Governor of NC from 1787-1789 and presided over the 1788 and 1789 State Constitutional Conventions. He was an active and respected Freemason, as well, serving as Grand Master of Masons in North Carolina (the first) 1787-1788 and 1789-1792. He died on August 17, 1816 and was buried at his home, Hayes Plantation. The Albemarle Chapter sponsored a commemoration of the life and accomplishments of Samuel Johnston at his gravesite on Sat., December 13, 2008.